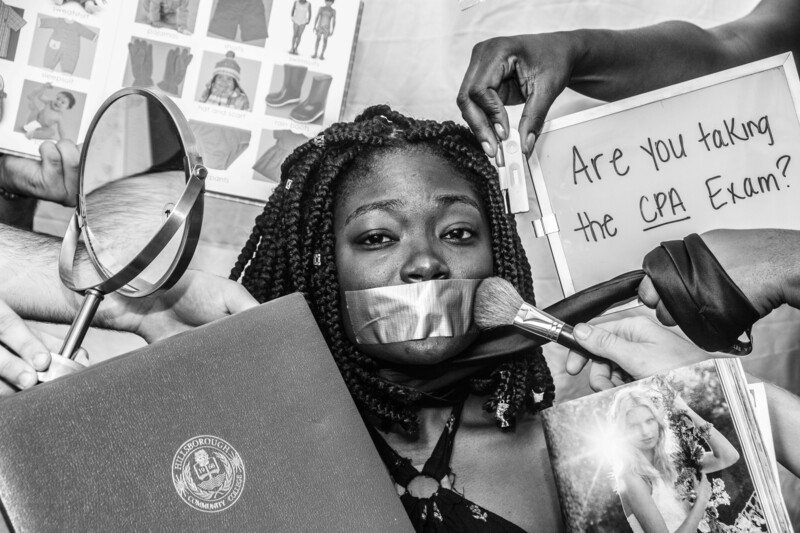 Photographer Christy Marie tackles how women are stripped of the ability to define themselves with a series of images titled "I Am Woman." 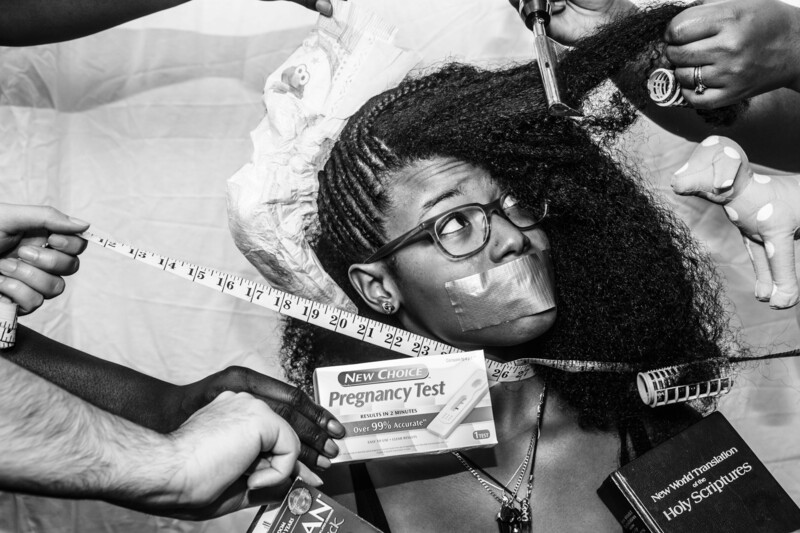 Each of the photographs features women of color with mouths covered in duct tape and various items being shoved at them including pregnancy tests, cleaning supplies, and beauty products. 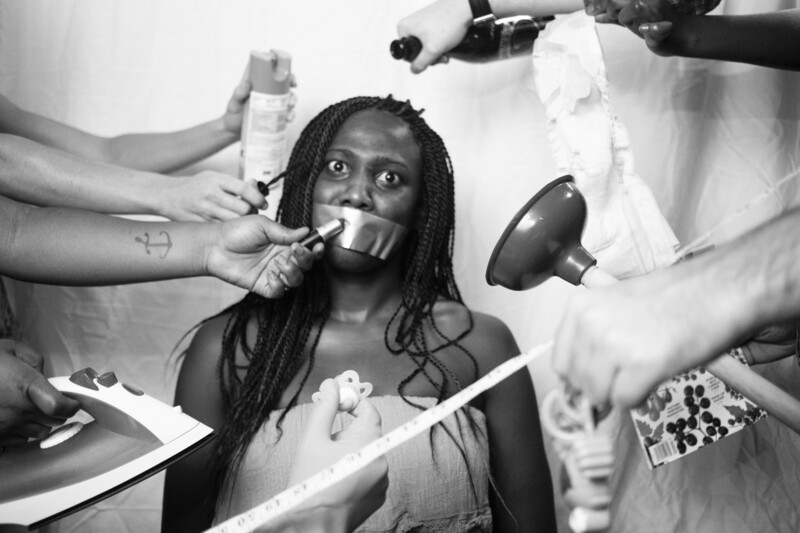 She aims to illustrate the internal turmoil the pressures can cause. "I really wanted to show the fear, anxiety and in many cases depression," she told For Harriet via email. 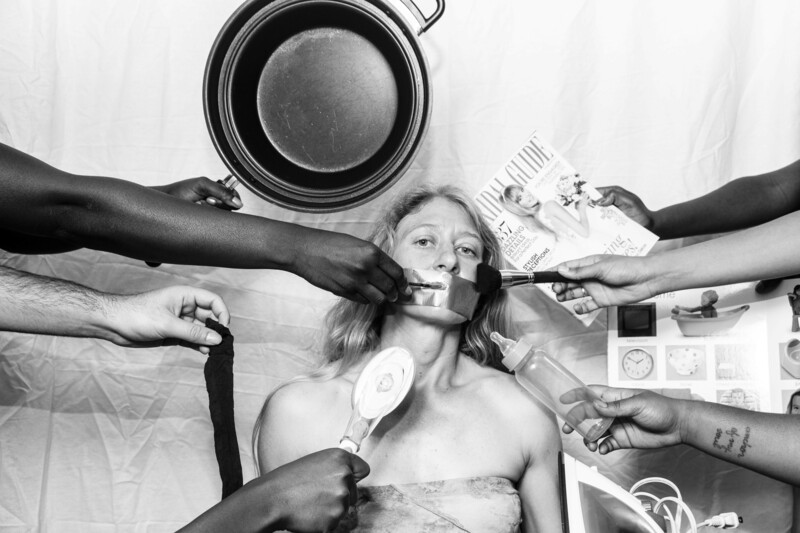 Based in Tampa, Florida, Marie says the idea for the series stemmed from her own experiences. "I, like many women, have gone through the trials and tribulations of what I should be doing at my age as a woman," she explained. "I should be married. I should have a degree. I should have kids. I should be this. I should be that."